Turns into a murder investigation! Have questions about buying direct? Even on vacation, Mei can’t get away from murder. Traveling to Kubako for a three-day matsuri festival and fireworks, Mei, Akiko, and Kayo are just looking for some relaxation and tasty food, not a weekend full of drama. But when a local celebrity is poisoned in Kayo’s family brewery, Kayo’s father is the main suspect. Now, Mei, Akiko, and Kayo must put their meddling ways to the test. With the help of Kayo’s mother and some local friends, they gather evidence while dodging hotheaded detectives and another dead body. But time is running out and the murderer has everything they need to bury the evidence and deflect suspicion onto someone else. 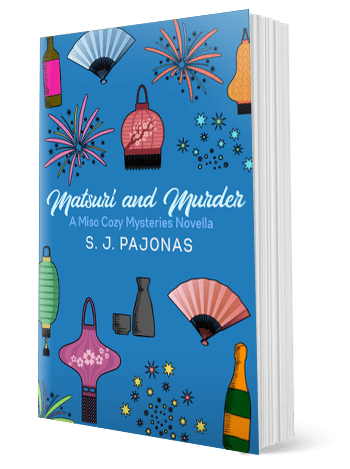 How will they find the murderer when the matsuri is in full swing and everything points to the wrong suspect? 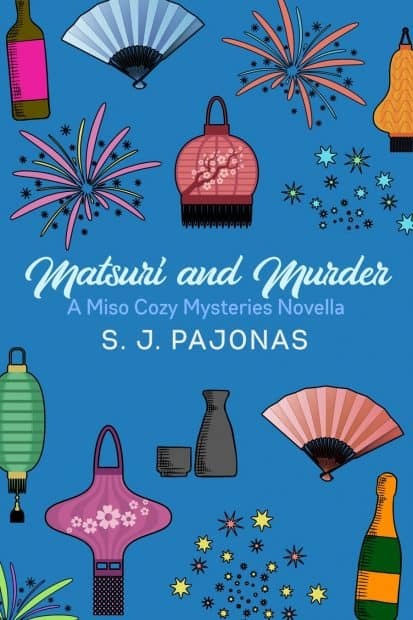 MATSURI AND MURDER is a Miso Cozy Mysteries novella that will keep you on the chase and rooting for Mei until the very end!